centre at the Guards Barracks in Høvelte today, April 23, 2012. As such Soldaterlegatet = the Soldiers grant has set up facillities complete with machines in six places all over DK. Here wounded soldiers and veterans can get the necessary training after their stay at the hospital. One of these facillities has been located Høvelte Barracks, the home of the Royal Lifeguard Regiment, which, being a combat regiment, has suffered considererable casualties for the past twenty years. Just ten years ago, such facillities let alone the retraining, specifically aimed at soldiers were virtually nonexistant. Frederik, who served as a volunteer conscript in the Lifeguards, inaugurated the new facillity. - It is I think very commendable and a very good way of sharing the focus that Frederik deals with the physical rehabillitation of soldiers, while Mary deals with the mental rehabillitation. (*) Experiences from Rigshospitalet have determined that soldiers are different from other patients. They are usually very fit, very determined and by the presence of other soldiers also very motivated than normal patients. As such soldiers use the machines on a generally higher level and more than normal patients. They also recover much faster than civillian patients. The machines at the hospitals are after all aimed at the "average" patient, between 15 and 85 who can be superfit or very obese. 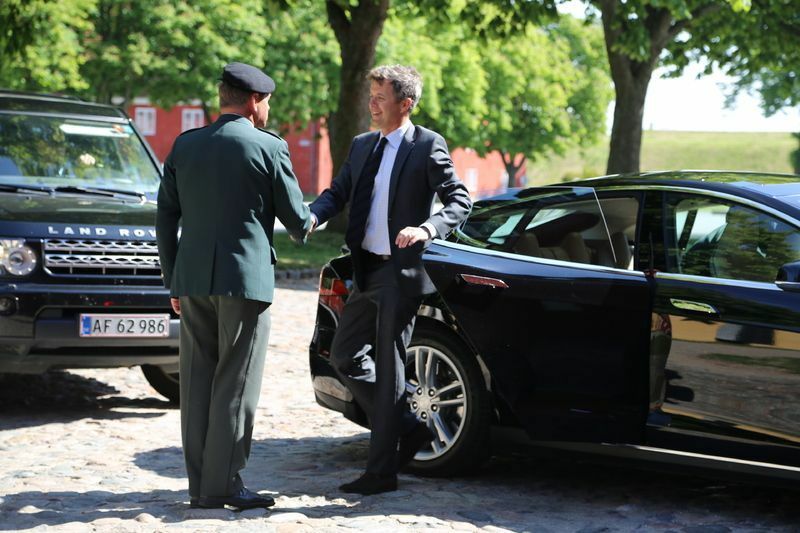 Crown Prince Frederik as Patron has attended the opening of the conference "Danish Returned Soldiers" in Copenhagen yesterday, October 9, 2012. Soldaterlegatet helps former civilian and military deployed in international military missions, their dependents and survivors after a show in need of financial assistance due to a physical or mental injury during deployment. Together with the Danish Minister of Defence Nicolai Wammen and Chief of Defence, General Peter Bartram. 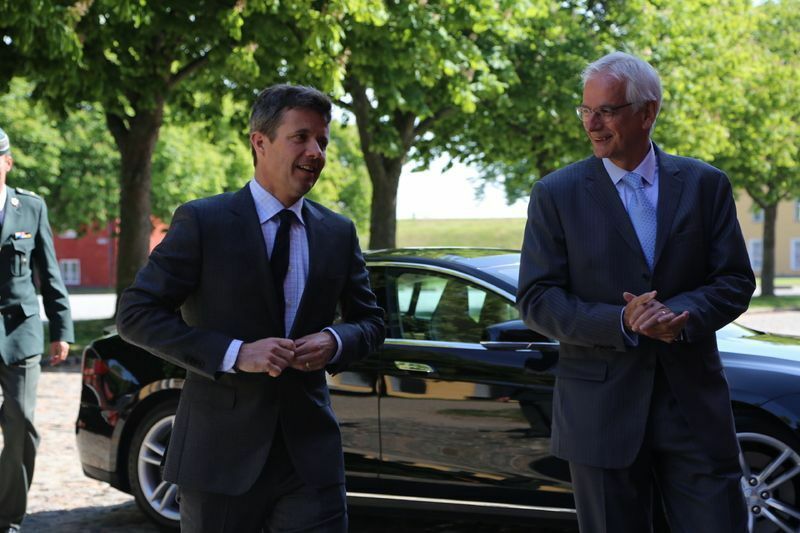 Frederik is patron of the foundation 'Soldaterlegatet' /Soldier's Grant. "The purpose of the foundation is to support military personnel and civilians of Denmark posted in military missions abroad, and who during missions for the Danish defense suffers physical or psychological harm that fall in war or war-like conditions or who die in some other way. review benefit purpose of the foundation. " This is great news. Denmark is one of the 14 countries participating. HRH Crown Prince Frederik with wounded Danish veterans in 2011. On September 10, attends Crown Prince opening ceremony at the Queen Elizabeth Olympic Park. The Crown Prince on September 11 in a joint breakfast with the Danish participants at the event and attends thereafter exercise of discipline athletics in the Lee Valley Athletics Centre. all go great adventure ahead, said the Crown Prince." "The veterans have from Tuesday to Thursday this week had a visit from HRH Crown Prince at their training session in Norway. Together they have for two days made the journey on skis with sledge and backpack. All this took place in the area around Trondheim." step before the veterans draws on a longer Greenland expedition to March." where they will walk 400 kilometers along the east coast of Greenland at Turski." and mentally. The veterans have different injuries. Among other leg amputations, other serious bodily injuries and PTSD." Wounded veterans here in DK have for years been actively encouraged to pursue sports on a high level, form basically the day they are out of surgery. With very good results, physically as well as mentally. As a result we have by now a proportionally high number of elite athletes attending say the para-olympics. I believe that was a result from the close co-operation between Danish and British troops for many years now - also when it comes to recovering veterans. But they don't have the same royal advocate in the DRF, as the British have in Harry, who after all is veteran himself. The nearest is Frederik, who after being a Frogman know firsthand how it is to push yourself way beyond your boundaries. This is incredible. 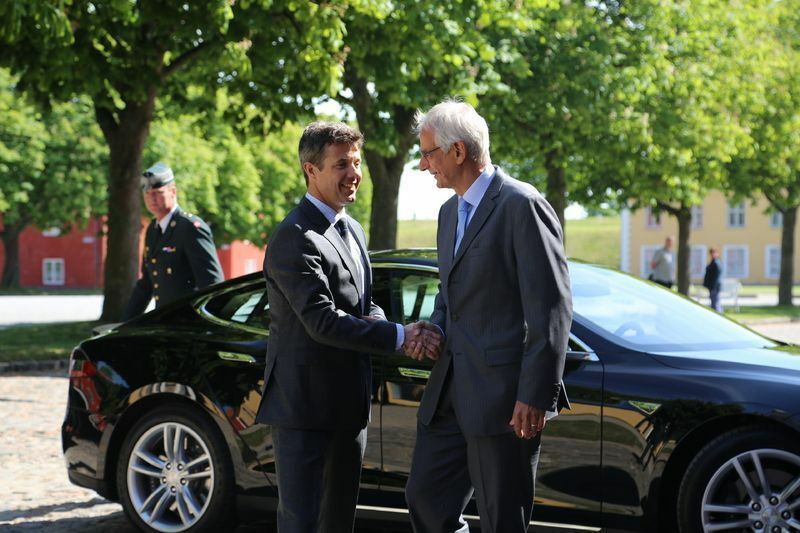 Excellent for Frederik to participate and highlight the strength of the veterans. I know he has worked in the past with injured veterans and attended events for veterans, for example the Invictus games in London. "- It gives the boys an important boost of energy that Crown Prince Frederik take the time to be part of the expedition and learn veterans to know, says Rune Oland Tanggaard, founder of Veterans in Motion and daily manager DIF Soldiers Project"
"Crown Prince himself has extensive experience with the Arctic environment and not least the move skiing long distances in inaccessible environment. Lessons learned during his visit have shared with the veterans, and they can take with them on, "says Rune Oland Tanggaard, founder of Veterans in Motion and daily manager DIF Soldiers Project." CP Frederik is patron of 'Soldaterlegatet' but AFAIK, they have nothing to do with this, or the upcoming 'Arctic Challenge' in Greenland. This is a project of 'VIM' Veterans in Motion. which among others has representatives from the Danish elite units (Frogman Corps, Jaeger Corps and Sirius Patrol), things that Frederik is very familiar with, including his Sirius Expedition in Greenland. 'Soldaterlegatet' is one of the sponsors of "Veterans in Motion" and their activities. But I don't know if Frederik was there as their patron or because he is a member of a Danish elite unit. I checked their projects and news but not sponsors. Summary of article in Billed Bladet #50, 2016. In March seventeen veterans, of whom nine are physical or psycological invalids, will march on skis for 400 KM along the east coast of Greenland. That is in the coldest period of the year - before the thaw sets in. The trip is scheduled to last 30 says. As such they have been training in the area around Trondheim in Norway for two days and it was here Frederik joined them. He know first-hand how it is to travel in Greenland. The founder of Veterans in Motion, Rune Oland Tanggaard, said about Frederik: "It gives the lads an important boost of energy that the Crown Prince takes time to be a part of the expedition". Rune Oland is also the day-to-day leader of the the DIF Soldier Project. Frederik expressed his admiration and respect and also confidence in the veterans and he is sure they will have a great experience. I think this news goes here, since it deals with the veterans race last March. Frederik took part in their training experience in Norway. A team of war veterans who cross the Greenlandic sea ice will receive royal support from Crown Prince Frederik."